Most Bloggers are now moving from HTTP to HTTPS because of the extra security and search engine advantages it offers. If you have been thinking of moving your blogger blog to HTTPs for a more secure connection, then you have to read this post. If your answer is “right” for all four above question, then you’re at the right place. We all know that Blogger platform is giving the free SSL HTTPS certificates for Blogspot blogs, and it is a nice gift for your blog. 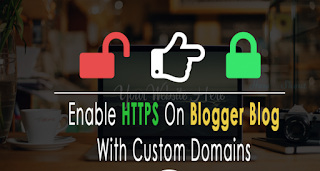 But we also knew that these SSL certificates are only available for Blogspot subdomains, means if you are using any custom domain on your blogger blog then not able to add or enable the free SSL (HTTPS) certificate on your blog. But Google will release this feature soon for the custom domain also, Why waiting for Google when you can get the free SSL certificates for your custom domain. Yes, you read that right you can enable the HTTPS on your blogger blog even if you are using a custom domain name for your blog. This is the very tricky guide to get free SSL certificates but we’ve divided this guide into 3 parts which will help you to easily follow all steps. We all know the advantages of using HTTPS on your blog. Thanks to Shivansh Verma from BloggerGuider, he has been shared this guide on his blog, so all credits goes to him. The significant benefit of using HTTPS is the increase in SERP ranking, and Google will rank the 30% of the websites on the first page which are SSL certified, so you have a great chance to make your blog more SEO optimize and beat your competitors. So, here we’re going explain each and every step to make your blog most secure, fast and professional look. In this guide, we’ll use the Cloudflare’s free CDN (Content Delivery Network) to protect your blog from attacks, make it faster than ever and also improve SERP. We divided this post in 5 Section to make the process easier to understand and simple. This is the first part of this guide. You need to follow the below steps to add Content Delivery Network on your blogger blog follow below steps. Once Canning progress is completed, CloudFlare gives you two custom name server, and you need to replace those with your default domain name servers. 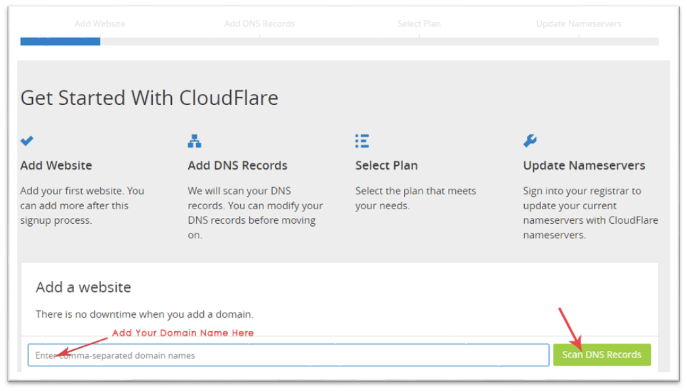 Follow below steps to add Cloudflare’s nameservers in your Domain name. 3. 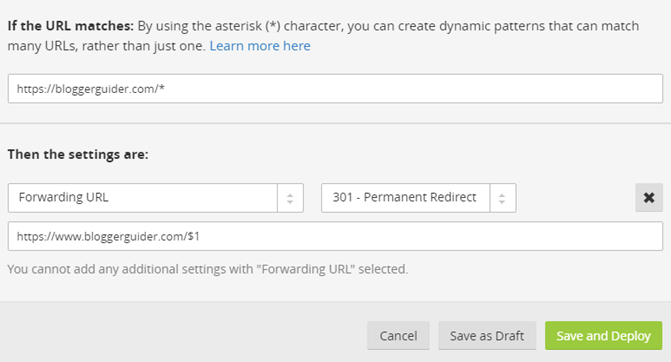 Then you need to select “Custom Nameservers” and add the Cloudflare’s nameservers which are provided after added your domain name. Once you replace your nameservers with Cloudflare’s nameserver, means your domain is now using the Content Delivery Network. Now it’s time to enable the HTTPS on your Domain Name with the Cloudflare. It is the main part if this guide to enable HTTPS on Custom Domain in Blogger blog. Follow below steps to enable SSL certificates. Then select the “Flexible” option from the SSL section. Congratulation! 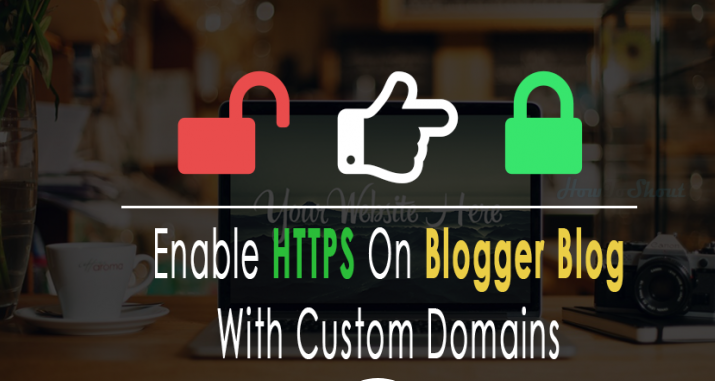 You’ve successfully enabled the SSL (HTTPS) Certificates on your Blogger blog’s custom domain. This is the most important part of this guide because you’ve to let your blog stop using the old HTTP and redirect your blog to new SSL (HTTPS). Follow all below steps carefully. Go to the “Page Rules” tab and then you have to add 3 Page Rules as shown in below images. But remember you need just to change “bloggerguider.com” with your “domain name”. In the Security Level section choose the “Low” option. Now we no need of Cloudflare anymore, so log out your Cloudflare account. Now open your blog, and you will see that your blog’s homepage is automatically redirecting to HTTPS version. 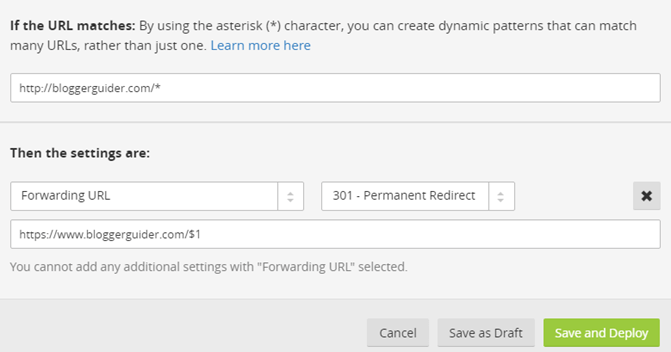 But now your blog’s permalinks is not in the HTTPS version, so we need to make all of them HTTPS and redirect the complete blog from HTTP to HTTPS. Note: If your images are not on SSL certificates then upload your images to secure and free images hosting sites like Postimg.org, this site is 100% secured and SSL enabled, uploading your blog’s image to postimg.org, then your images will load 4x times faster. Once your blog is on HTTPS then, you may have to change your blog content to make sure it works with HTTPS. If you don’t change this then you might be faced some Mixed Content issue in your blog after adding SSL. First, visit your blog with HTTPS (https://www.yourblog.com ) in Google Chrome. You can easily fix these match content errors, just go to Google Blogger Support page follow each and every step completely then you will get rid of these errors. 1.) Sometimes your previously uploaded logo and favicon on your blog are not redirecting to HTTPS so in this case, you need to reupload both logo and favicon and that’s it! 2.) When you searching something using Search Widget in your SSL enabled blogger blog, In this case, you’ll get a mixed content warning like this. Mixed Content: The page at ‘http://howtoshout.com/‘ was loaded over a secure connection, but contains a form which targets an insecure endpoint ‘http://howtoshout.com/search’. This endpoint should be made available over a secure connection. Now all mixed content errors have been fixed and finally, your blog is completely HTTPS enabled and secured blog…. After successfully migrated your blogger blog from HTTP to HTTPS, no this is the final part of this guide, so you need to let Google know that you’ve migrated your blog to HTTPS, so Google needs to crawl and index your blog with HTTPS. This part will help you to make your blogger blog more SEO optimize and improve your ranking in Google, Bing, and other search engines. So let’s do this. First, you need to update your Robots.txt file to make your blog SSL compatible. In the Crawlers and indexing, replace your old robots.txt file with below one. Now save your robots.txt file. Once you have done with the Google webmaster tool, then you’ll easily add your HTTPS version of your blogger blog in the Bing webmaster tool by yourself. As of now I am yet to move techtimes to https because blogspot is yet to enable the feature and I do not want to patrronise any free Content delivery network.